It was The Ides of March, March 15th of 1969, when Don MacLeod, his wife Loreen and brother in law Dan Lissy first opened an 800 square foot record store on the corner of 32nd & East Burnside. Specializing in mostly underground music not found in the department stores, drugstores or the couple of record stores which existed at the time, Music Millennium filled a niche for the Portland music community. Titles by Fairport Convention, Frank Zappa, John Fahey, The Fugs and Holy Modal Rounders were stocked in the small store along with the sounds heard on the then three month old FM station, KINK- The Underground Link. The store quickly grew in the first five years to its current size, including the addition of a classical store called The Musical Offering, later known as Classical Millennium (closed in 2012). 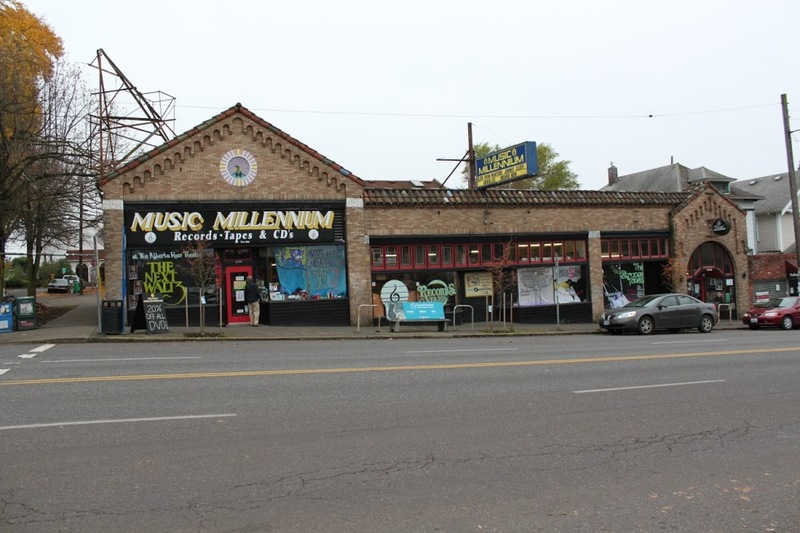 A second Music Millennium store was also added next to the now defunct Purple Earth Tavern at NW 21st & Irving, later located at 23rd & Johnson. It’s over 40 years later and Music Millennium is the oldest record store in existence in the Pacific Northwest. Throughout our history, we’ve stocked the ever-evolving gamut of formats including LP, 45, reel-to-reel, 8-track, cassette, DAT, compact disc, mini-disc, DCC and CD-ROM. As people who know and love music, Music Millennium has hosted an array of in-store performances and autograph appearances over the years, including the likes of Richard Thompson, Luscious Jackson, Loreena McKennitt, Maureen McCormick (aka “Marcia Brady”), Blue Rodeo, Shonen Knife, Matthew Sweet, Soundgarden, Mike Watt, Don Walser, Sheryl Crow, Randy Newman, Everclear, Jewel, Little Feat, Susannah Hoffs and Cheap Trick to name a few. Be sure to check out our current calender of events! You can visit Portland’s homegrown music store at 3158 E. Burnside (at 32nd). See you there!